I’ve spent my PhD developing and modelling new, hybrid materials for carbon capture and storage (CCS). To begin, I was working on `Microencapsulated Solvents’ (MECS), a technology developed at Lawrence Livermore National Laboratory in the US. MECS are small capsules (each a hair’s width in diameter) with a rubbery polymer shell and a liquid solvent core (imagine a jar of very small liquid-filled Starbursts.) The shell traps the liquid inside, but it allows carbon dioxide to pass through, so if there’s any CO2in the gas around the capsules it can tunnel its way through the shell and into the liquid core. Once it’s absorbed by the liquid, it chemically reacts and is temporarily stored, or ‘captured’, inside. These particles can absorb 5-10% of their weight in CO2, and if they’re heated up they can release the captured gas as a pure CO2stream, ready to be permanently stored underground. Because the capsules are so small, they have extremely high surface areas (up to 100 times more area than liquid in a traditional ‘absorption column’) and this means they absorb gas extremely quickly. This opens up the possibility of using liquids for carbon capture that traditionally have been dismissed because they absorb gas too slowly – classes of ionic liquids or polymeric liquids, for instance. A relatively small bed of capsules could be used to capture a large volume of gas, and with careful selection of the liquid in the capsule core, the process may require significantly less energy. I began my project modelling absorption into MECS, and comparing them with a traditional absorption column. However, we quickly ran into a rather obvious problem: very fine capsules are very difficult to make. Even at Lawrence Livermore, they never made more than a few grams an hour. We started looking for alternative materials with similar properties to MECS. After multiple failed attempts and dead ends, we had a breakthrough. Rather than creating capsules (with a solid shell and a liquid core) why not create a gel, with lots of small droplets dispersed within a continuous solid support? It turns out that such materials are much simpler to manufacture than MECS, and they may be formed into solid particles or thin sheets with just as much surface area. Indeed, if you pick your materials right, these gel materials may absorb gas even faster than capsules can. We referred to them as ‘solvent impregnated polymers’ (SIPs – everything needs an acronym) and began to study them. We’ve been able to immobilise a number of solvents for capturing CO2, including carbonate solutions for treating gas from a coal power plant, and ‘nanoparticle organic hybrid materials’ (NOHMs) for direct air capture.We’ve shown the materials can reversibly absorb CO2and then release it over multiple cycles, and we’ve shown how to model CO2 absorption to predict uptake rates for a hypothetical gel. We’ve also analysed the thermodynamics of processes that utilise these materials, assessing the trade-offs between faster absorption kinetics, material handling, heat recovery, and other relevant factors. We’ve considered intentionally placing air-bubbles inside the gel material (to further increase the absorption rate) and have attempted to immobilise an ionic liquid that absorbs CO2at 20C and releases it at 40C (so we could utilise waste heat to regenerate the material – unfortunately we haven’t been able to make this gel stable just yet.) We hope that, with the right combination of materials, and with intelligent process design, we’ll be able to make a gel that’s competitive with a traditional CCS process. It’s an exciting time to be working in carbon capture – large-scale projects are under development, new technologies are reported monthly, and the opportunities for collaboration between materials scientists, chemical engineers, chemists, and others are incredible. There’s a growing awareness of the essential role of CCS in mitigating industrial emissions (a role even the cheapest renewables cannot fill) and in supplying clean, baseload power as we transition away from fossil fuels. There’s even hope that CCS is finally cracking its interminable scale problem: while a few million dollars might buy you a ‘full-scale’ solar plant, from which you can learn and iterate, a lot more money is needed to build a ‘full-scale’ CCS plant, and this inevitably delays progress and innovation. As the number of full-scale plants in operation around the world grows, there’s cause for cautious optimism. I have a wonderful team of supervisors in Professor Paul Webley, Professor Geoff Stevens and Associate Prof Kathryn Mumford, all within the Department of Chemical Engineering at the University of Melbourne. I was recently in the US, and had the chance to visit MIT, Columbia University and Lawrence Livermore Labs. As interesting as these places were, I came back with the distinct impression that I’m very lucky to be where I am. I’d struggle to assemble as supportive and capable a supervisory team anywhere in the world. Well, I’m on the hunt for a job right now! 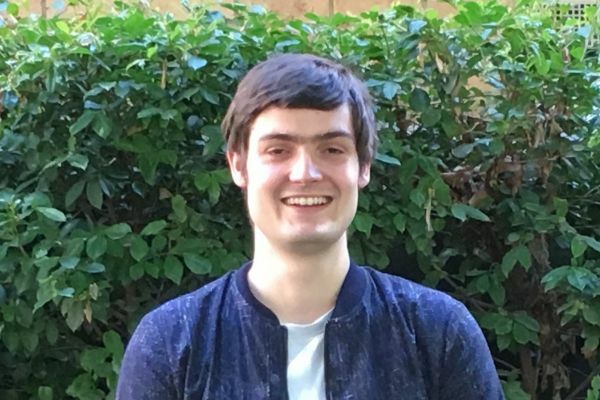 I’d love to stay in clean energy research – whether in CCS or otherwise – and I’ve enjoyed working in mass transfer modelling and material development. We’ll see what doors open up. Thomas’s PhD was funded by an Australian Postgraduate Award.